Rosalind is Professor and Head of the Department of Applied Health Research at UCL, a public health medicine doctor, Director of NIHR CLAHRC North Thames and Vice Director of the Department of Health Cancer Policy Research Unit (England). She is recognised as a world leading applied researcher with expertise in the evaluation of major health service change, of digital health innovations and of determinants of widespread implementation of evidence based care. 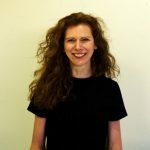 She applies diverse techniques from complex data analysis to ethnography to examine the impact of health/public health interventions on health outcomes, health / health care inequalities, health care quality and costs. Rosalind advises on health policy internationally, nationally and regionally; chaired the UK Heads of Academic Departments of Public Health (representing Departments at over 30 universities), sat on the HEFCE Research Excellence Framework Panel (whose recommendations inform the distribution of Government funding to UK universities) and is Clinical Specialty Lead for Health Services Research and for Public Health, NIHR Clinical Research Network (North Thames). She was selected by the British Medical Association as one of 29 national role models in academic medicine and by NIHR as one (of just six) of the countries ‘leading edge scientists’. She has also been selected as an NIHR Senior Investigator.